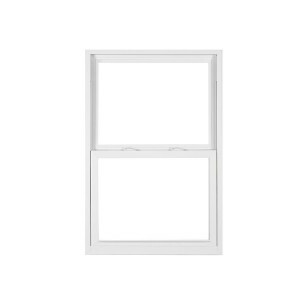 Sometimes a single window just won’t cut it. 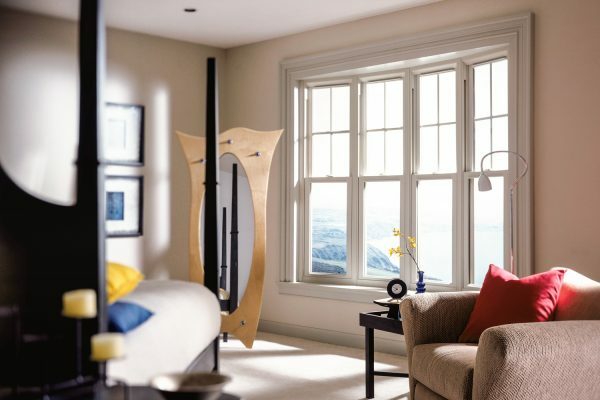 When you need to add a dramatic flair to a room, like this master bedroom, consider the classic bow window. 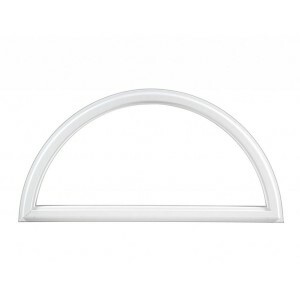 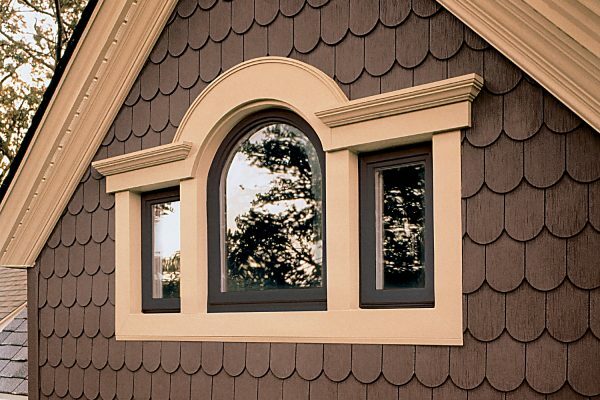 While dramatic in their effect and ability to transform a room, the bow windows are known for their soothing design. 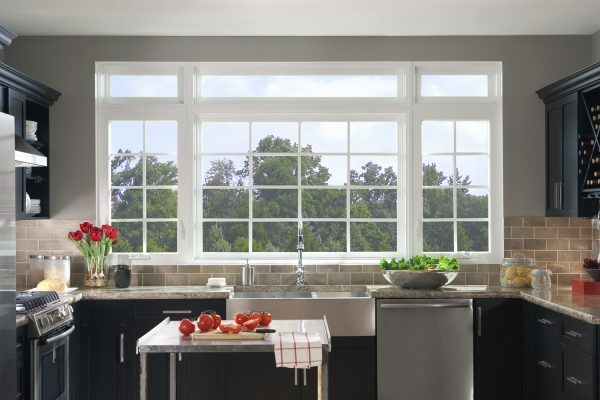 Windows don’t need to be large to make an impact. 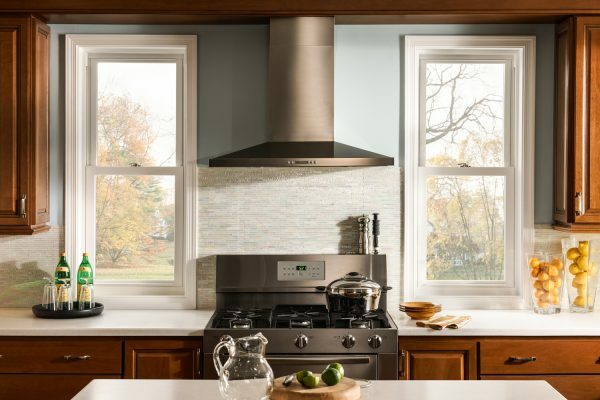 This split pair of double hung windows are the perfect fit in this kitchen. 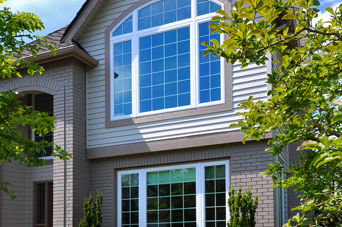 All of our windows and doors are custom fit to your home. 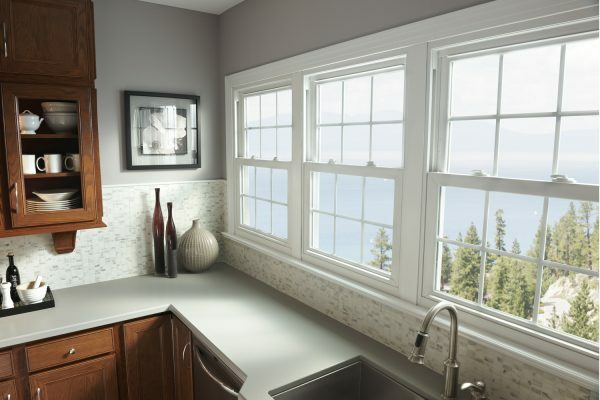 Add casement windows above your kitchen sink to make opening the windows in your kitchen a breeze. 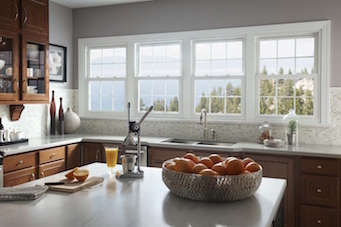 White double hung windows complete this classic kitchen, offering a sweeping view and allowing plenty of light to pour in. 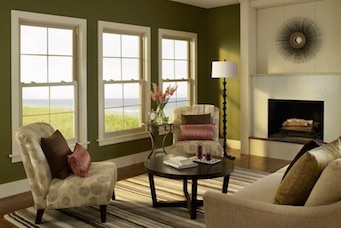 Customize your own double hung windows with color, grids and hardware finishes. 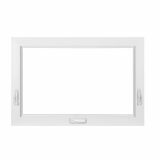 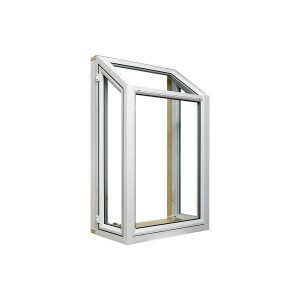 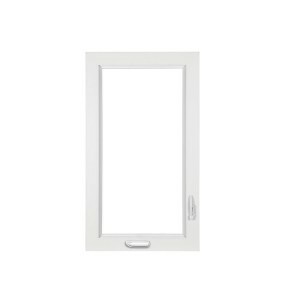 Create a distinct look for the exterior of your home with our geometric windows. 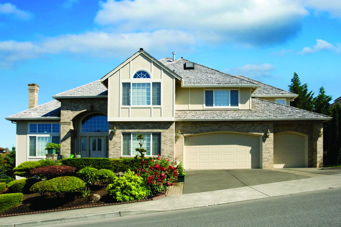 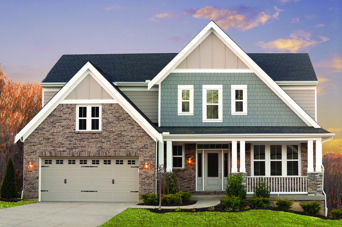 Choose custom styles, colors and shapes to fit your home’s design. 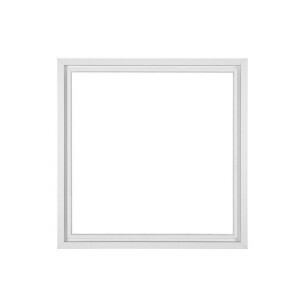 Are they vinyl or wood? 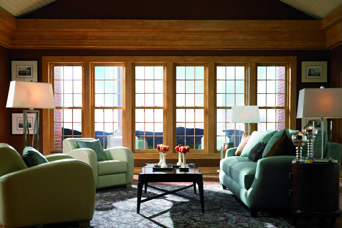 If you love the look of wood, but hate the inconvenience and cost, choose a woodgrain interior for your windows. 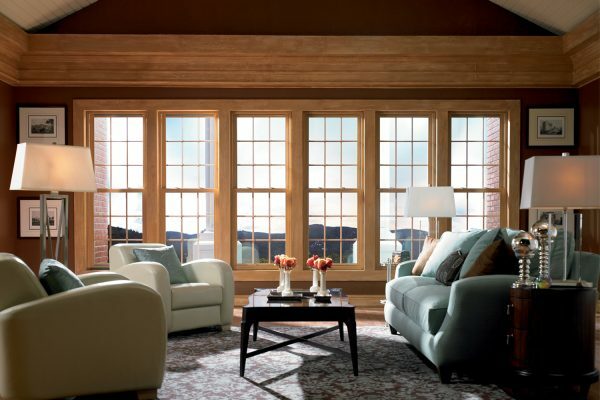 You always have the option to customize your windows, so you can create a look that’s entirely your own. 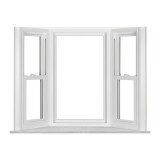 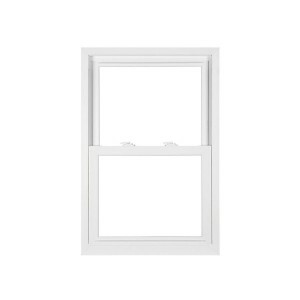 These double hung windows have a dark woodgrain interior with beautiful colonial grids. 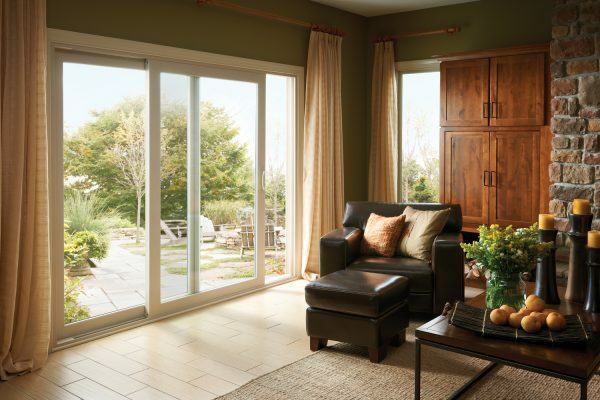 Affording easy access to the outdoors, this 3-lite sliding patio door in driftwood makes the work day fly by. 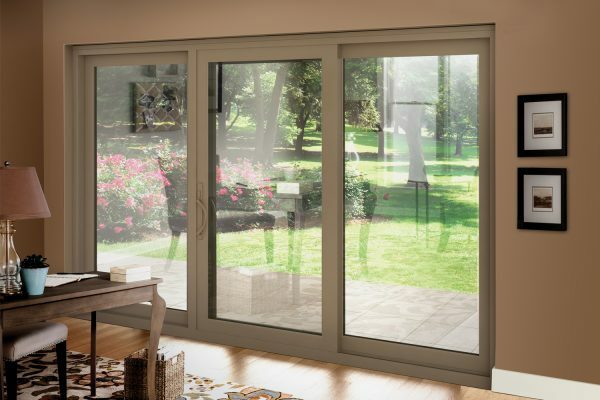 Our sliding patio doors are available in custom colors, styles and sizes. 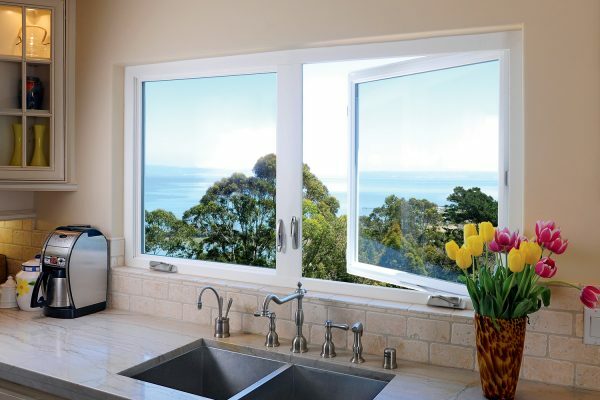 Imagine standing at the sink and enjoying this view. 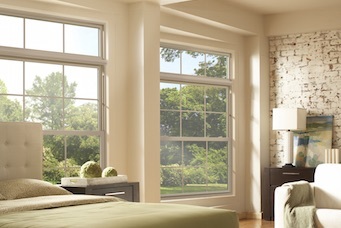 Those dreams can become a reality with casement windows. 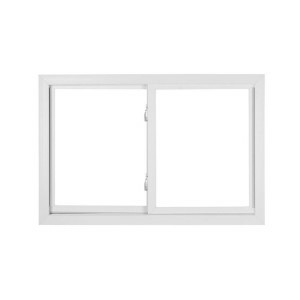 Simply crank the windows open to enjoy a pleasant breeze. 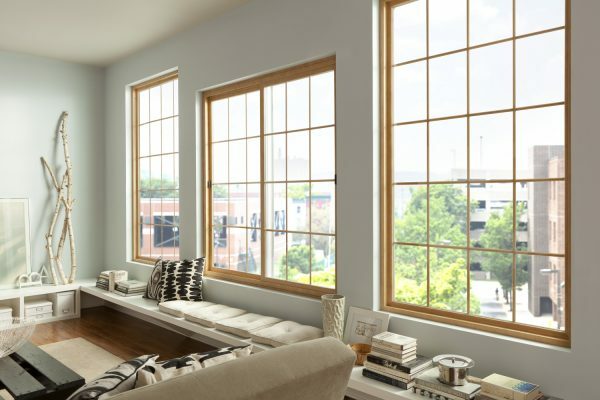 These 2-lite slider and picture windows with a maple interior, complement the warm tones in this contemporary living room. 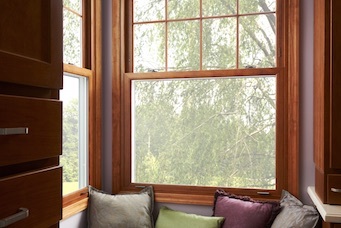 Shop slider windows and choose custom interior and exterior color options. 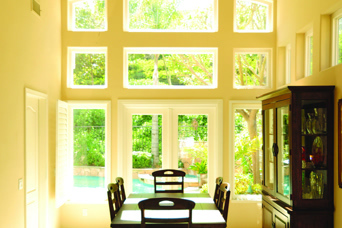 Sliding patio doors provide a scenic view, fresh air and access to your backyard, in this case, from the living room.